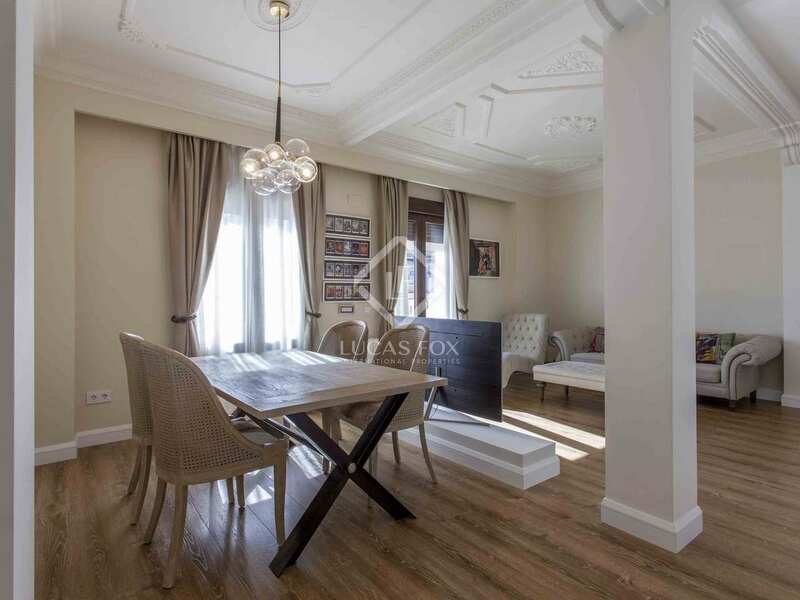 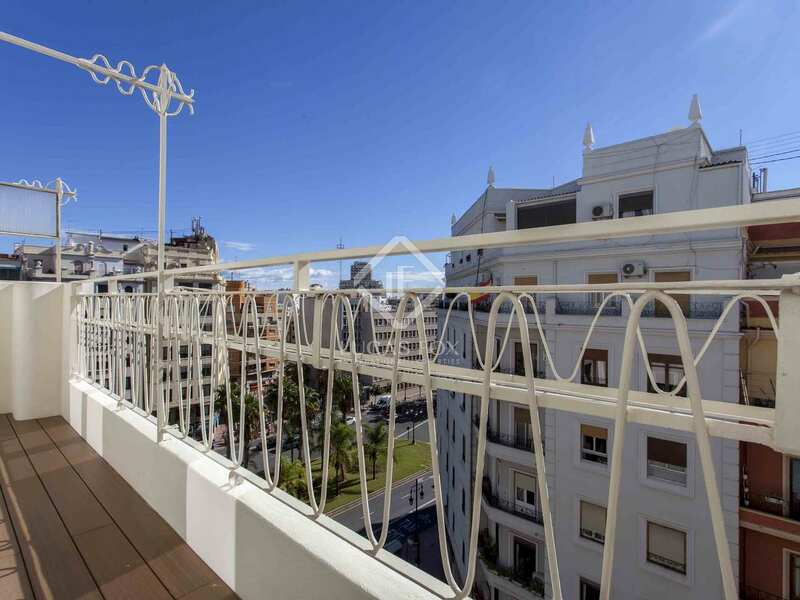 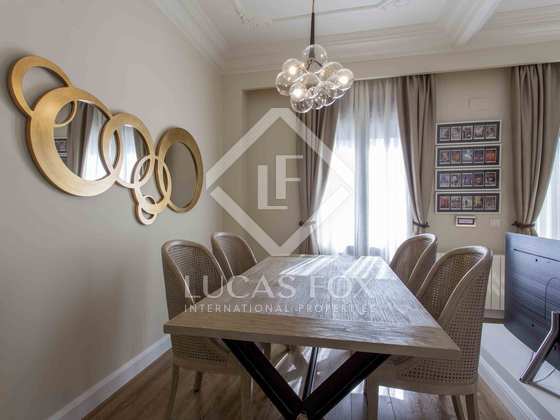 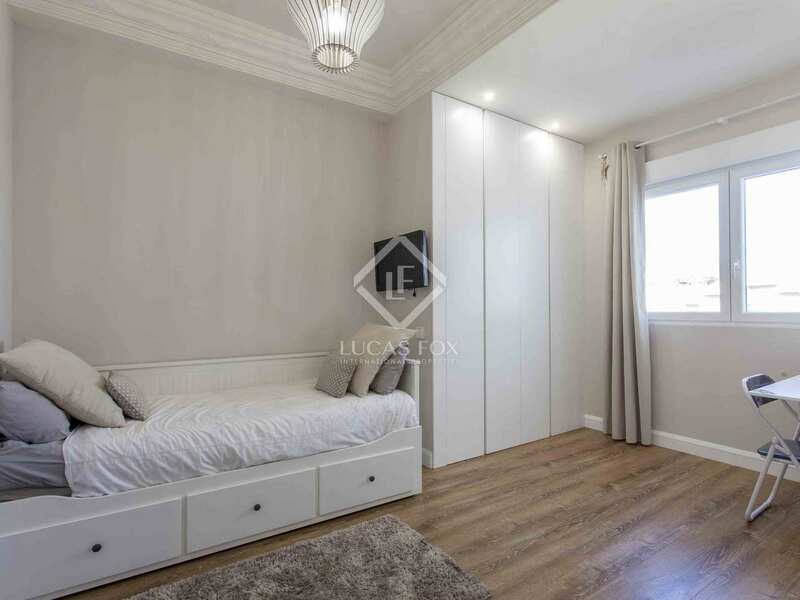 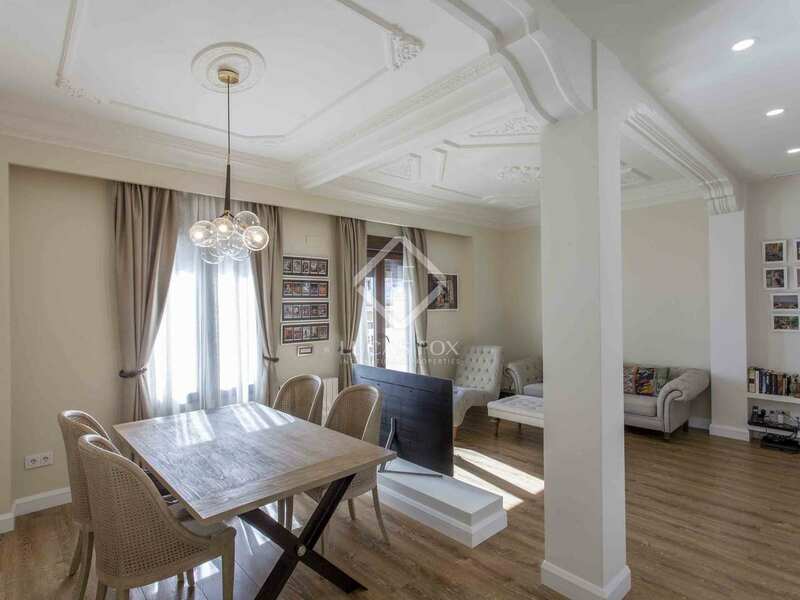 Bright renovated apartment with period features and a balcony, for sale in a stately building near the centre of Valencia. 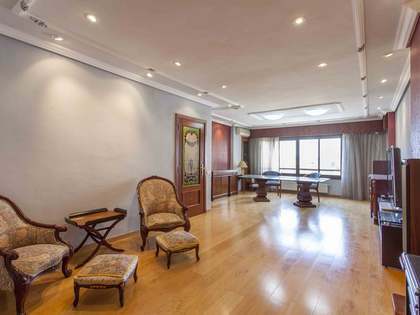 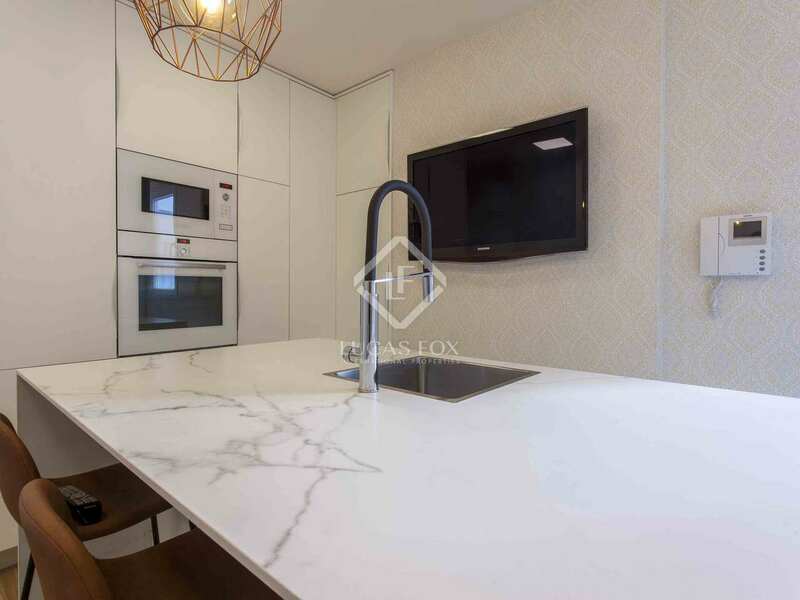 This bright semi-penthouse, renovated in 2017, is located in a stately building dating back to 1950 with a lift and wheelchair access. 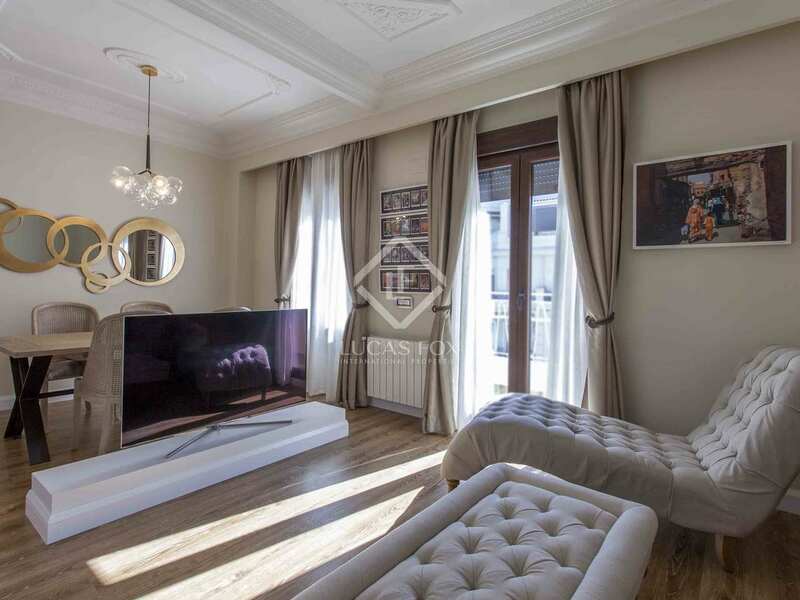 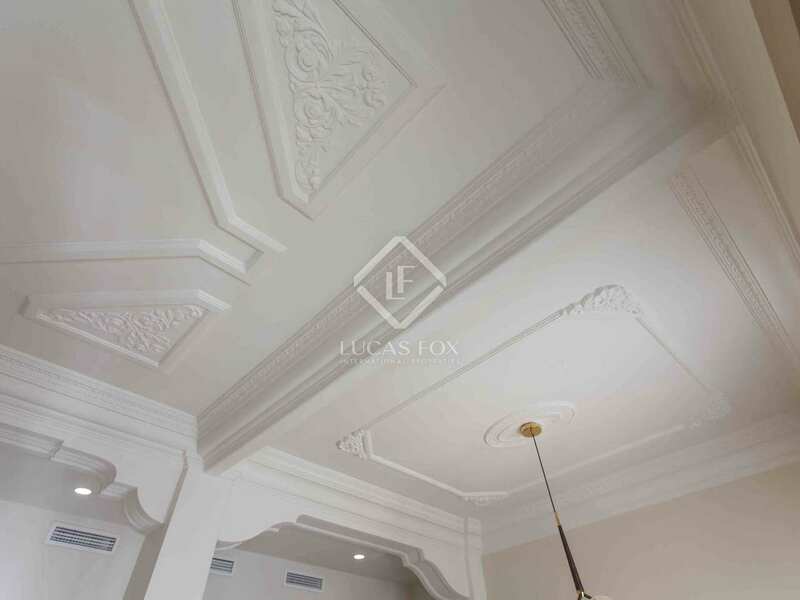 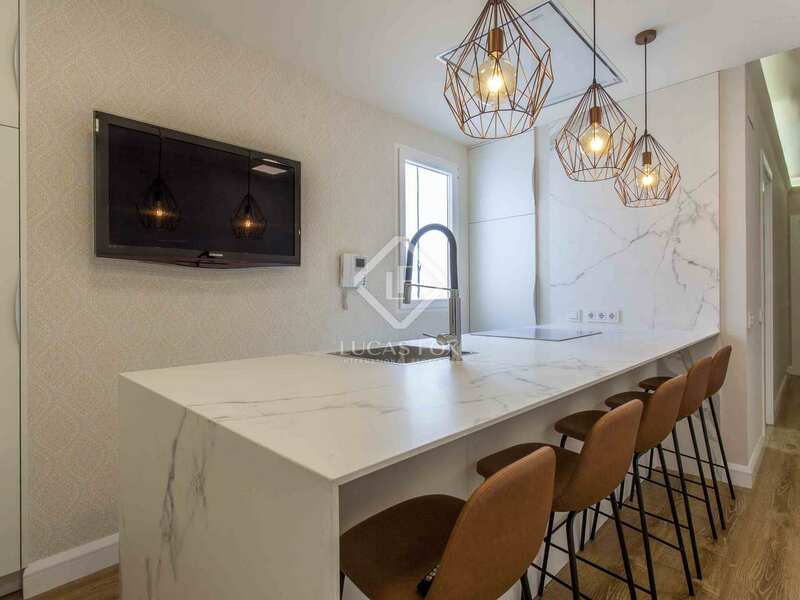 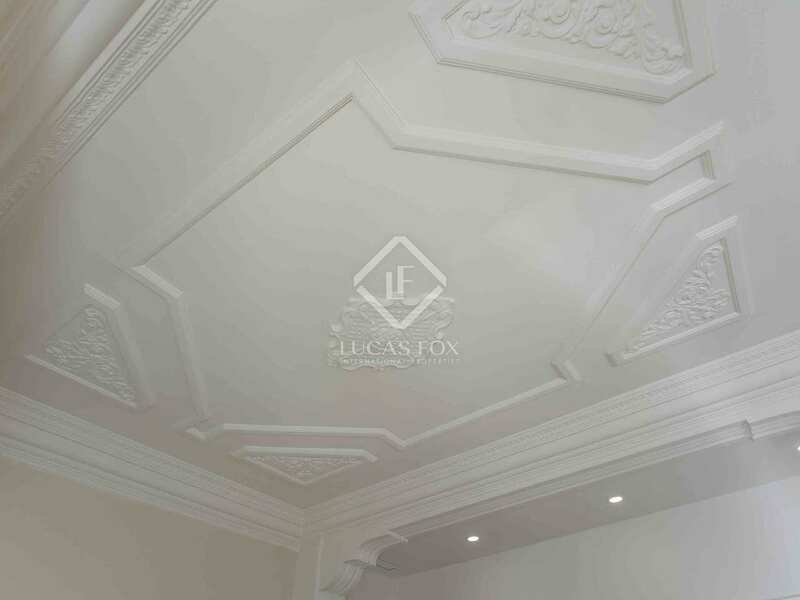 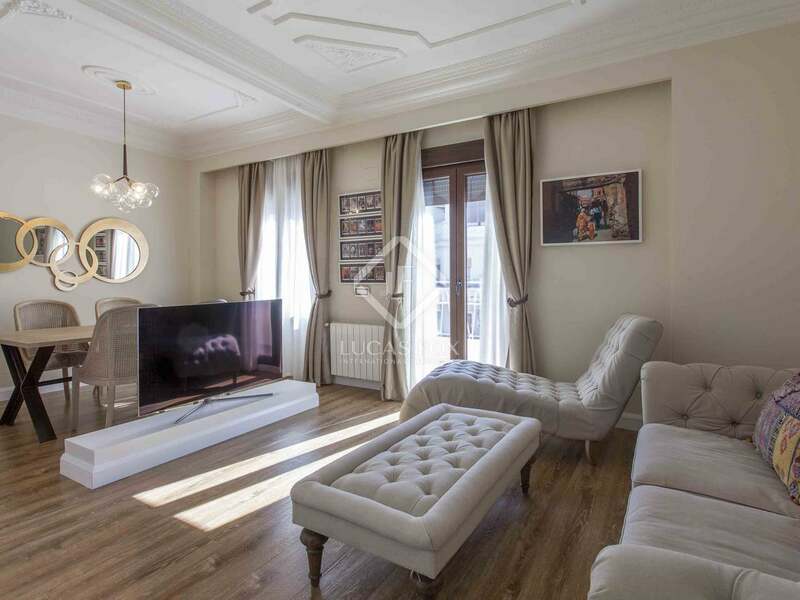 An excellent house at a competitive price in the centre of the city, the high ceilings and original moldings have been preserved, adding a touch of elegance to a modern space. 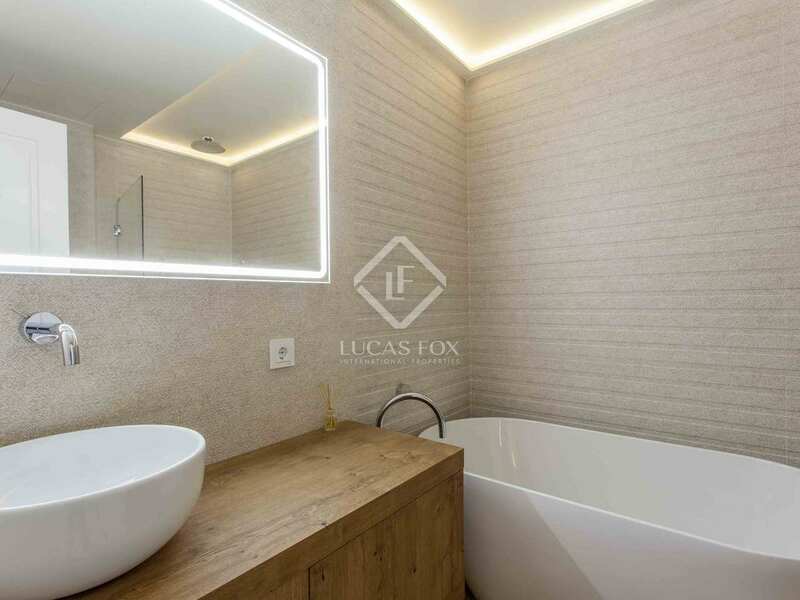 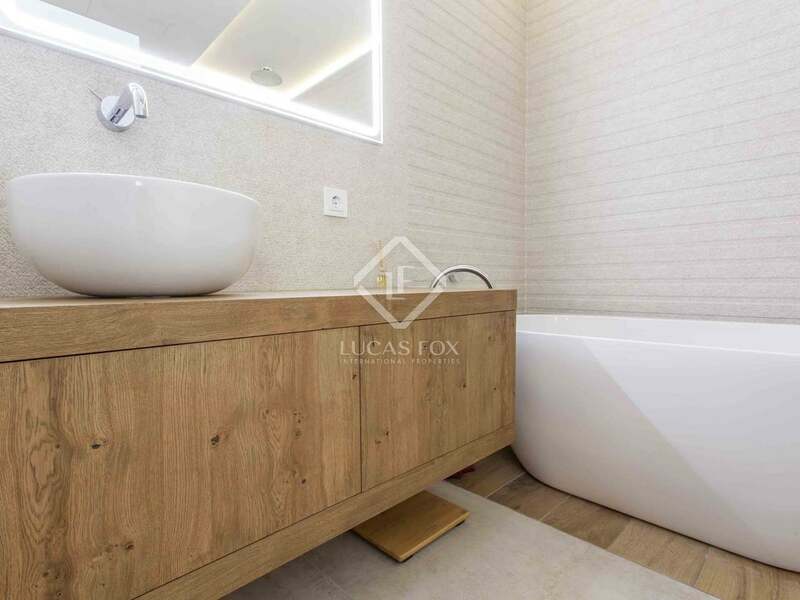 Upon entering, a square entrance hall leads to three of the 4 bedrooms, which overlook an interior courtyard, including the master bedroom with en-suite bathroom. 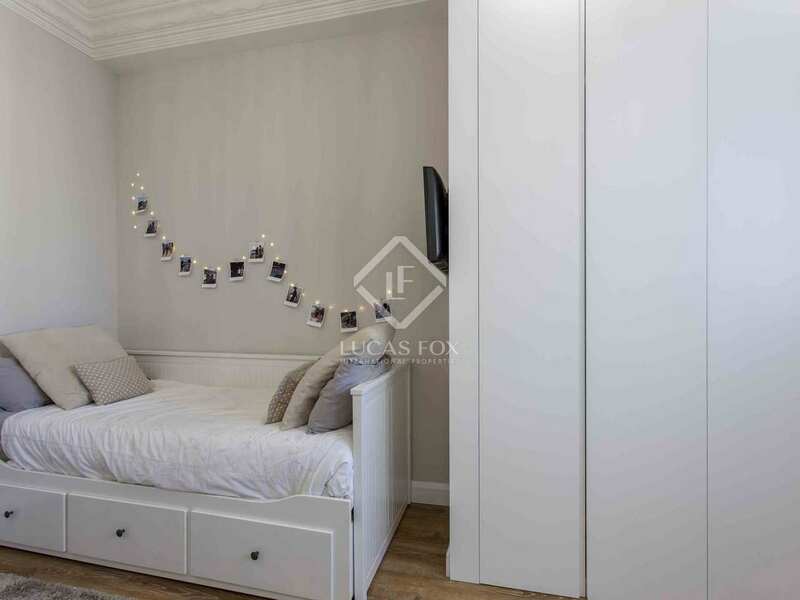 A corridor leads to the day area, where there is a bathroom, an independent kitchen and the living room from where the fourth bedroom is accessed. 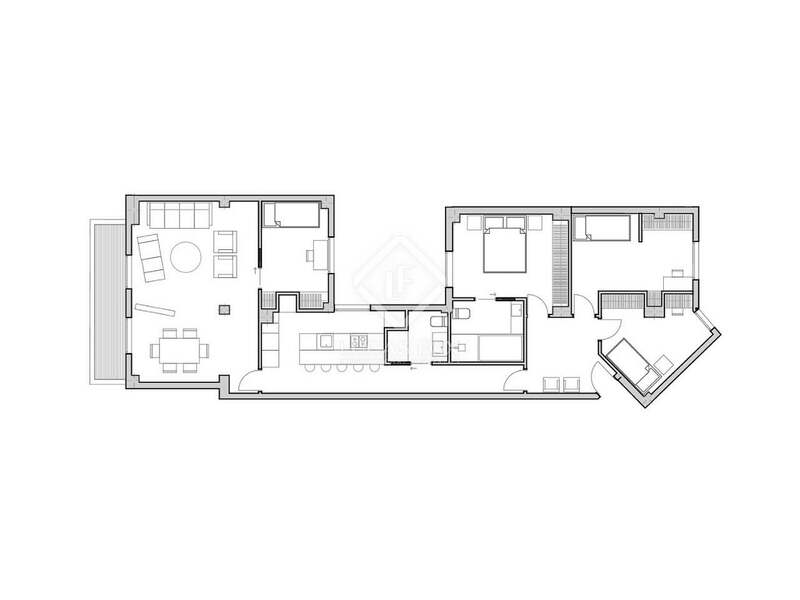 A large south-west facing balcony floods the apartment with natural light throughout the day. 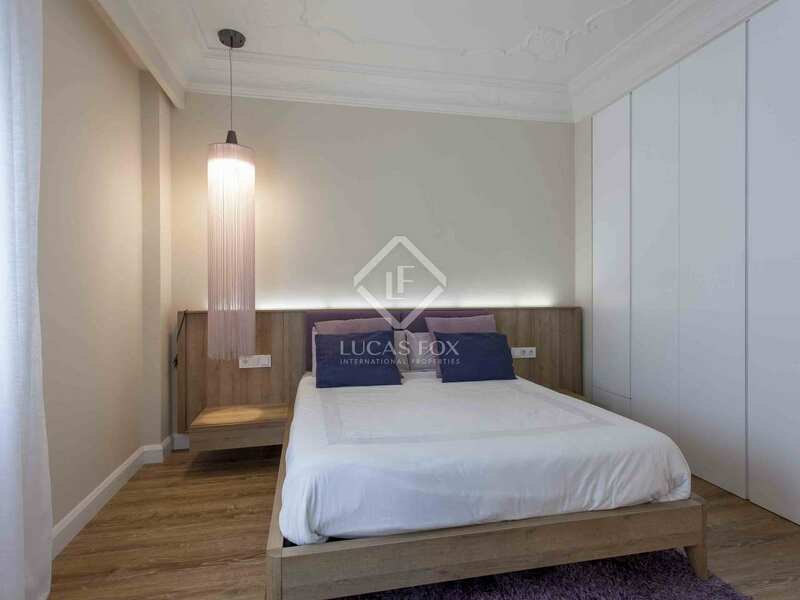 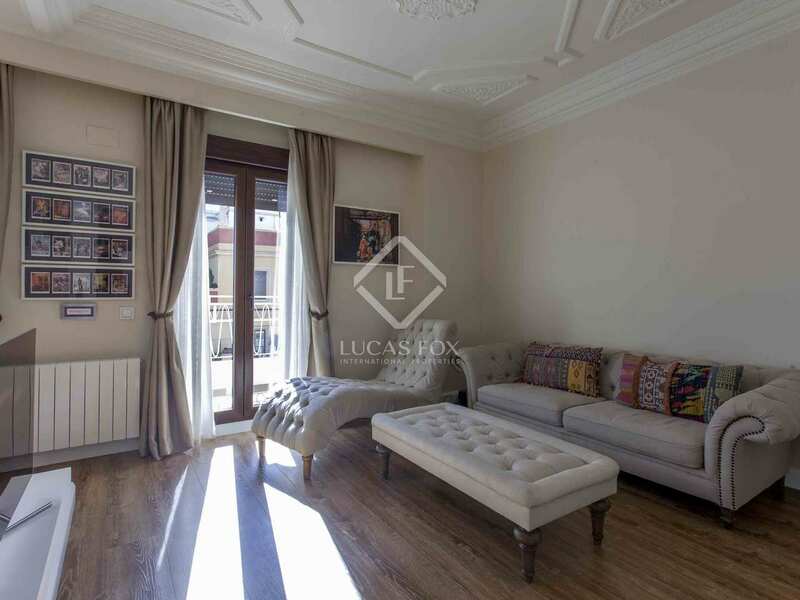 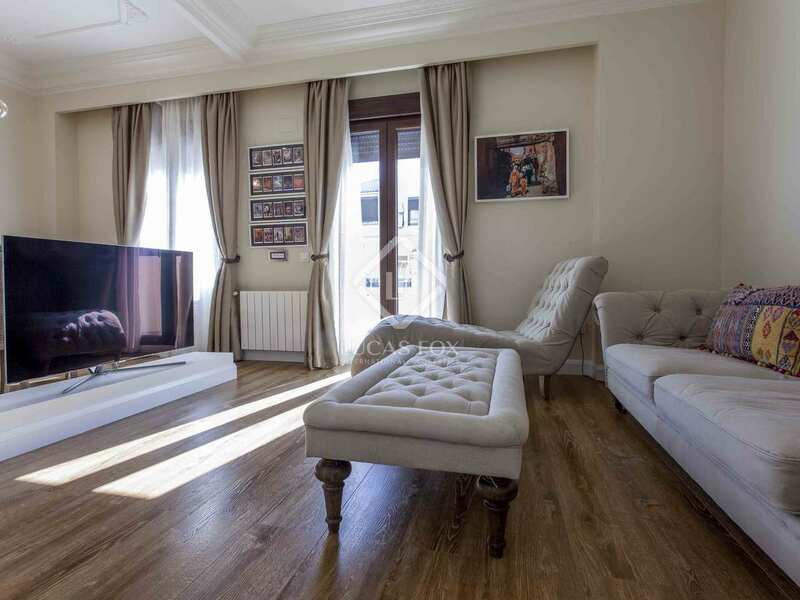 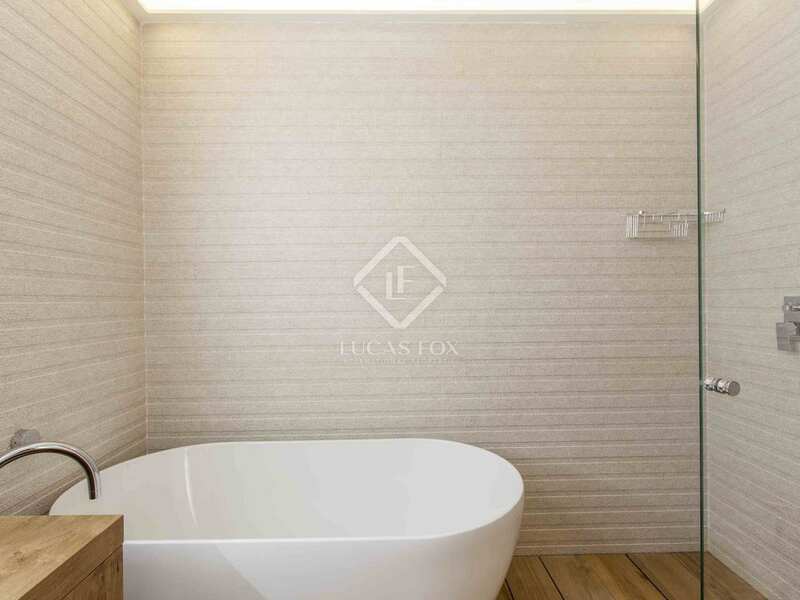 The apartment boasts high ceilings with original mouldings and there is attractive wooden flooring. 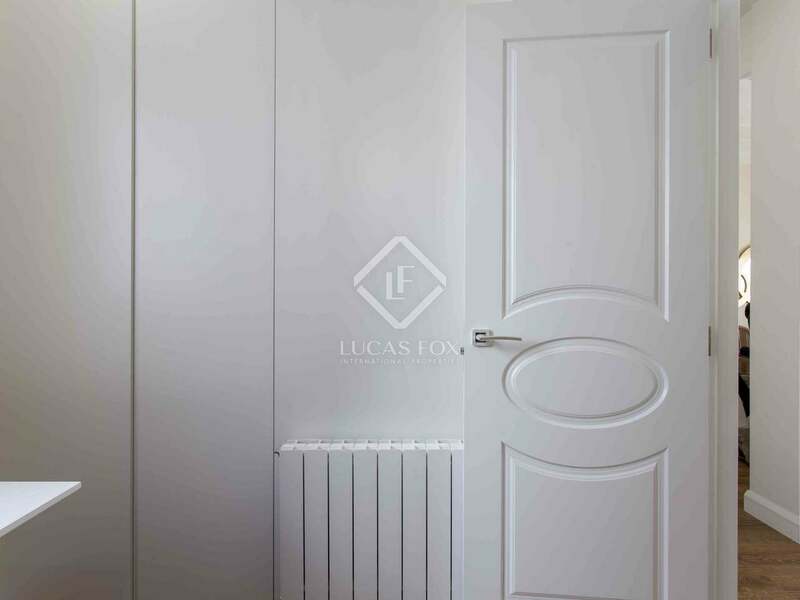 Double glazed windows, ducted air conditioning and central heating ensure year round comfort. 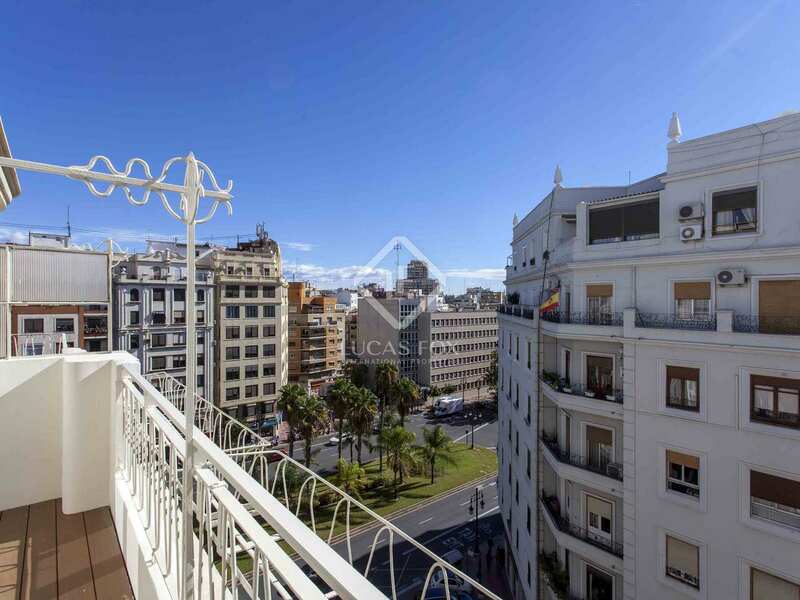 Contact us for more information about this wonderful property for sale in Valencia. 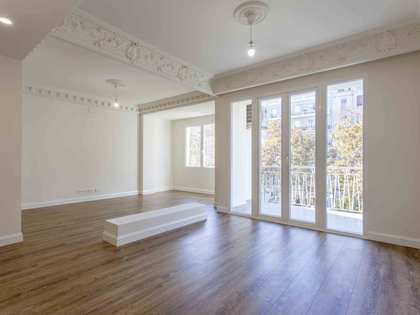 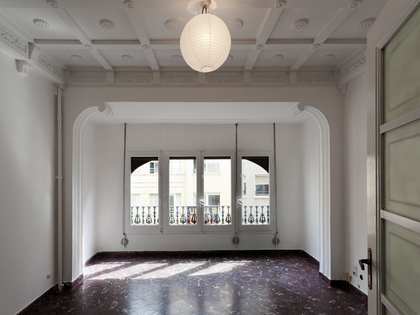 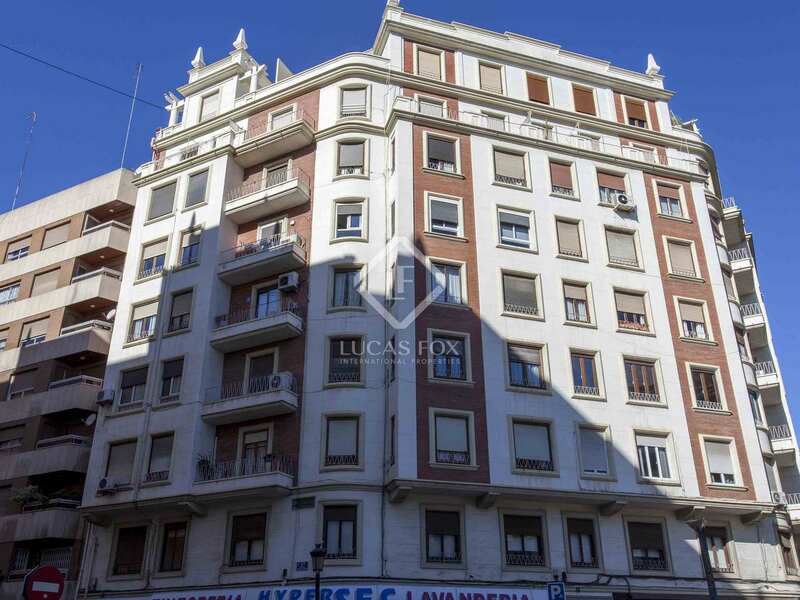 Property located in the neighborhood of Arrancapins, in Valencia's Eixample neighbourhood. 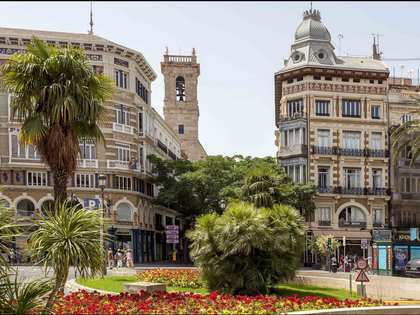 The neighbourhood has all kinds of services including shops, educational centers, sports centres, health centers, etc. 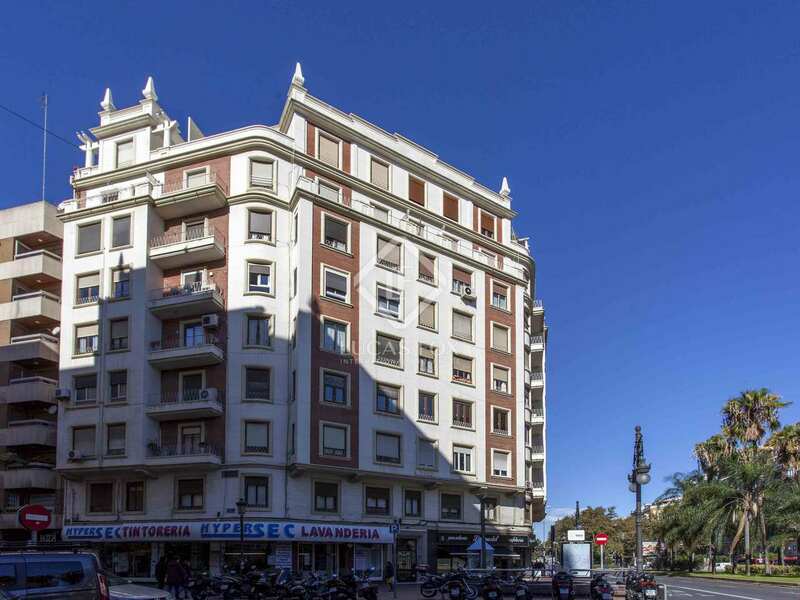 In addition, it is located next to the Abastos market and very close to the old town. 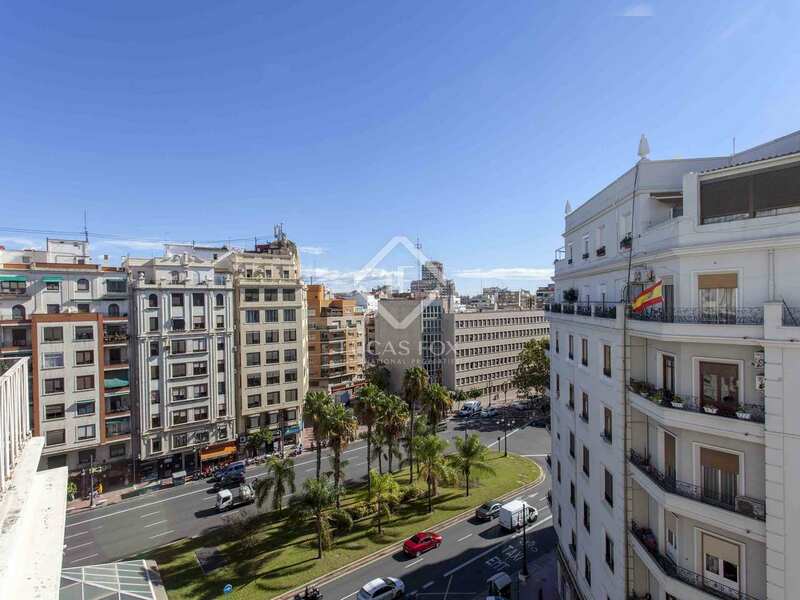 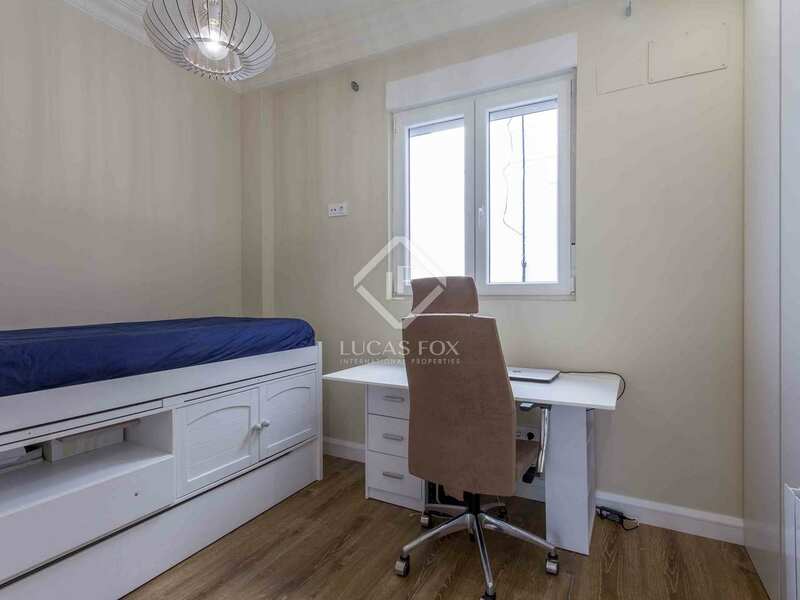 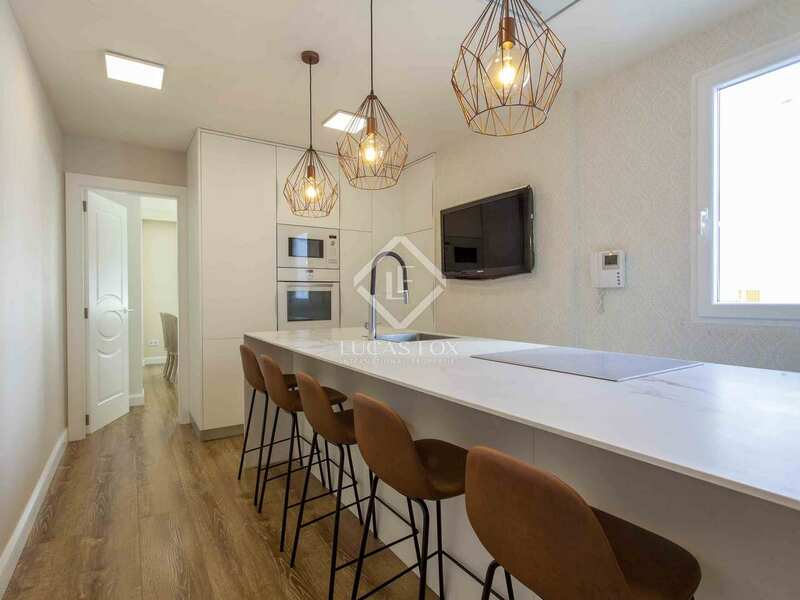 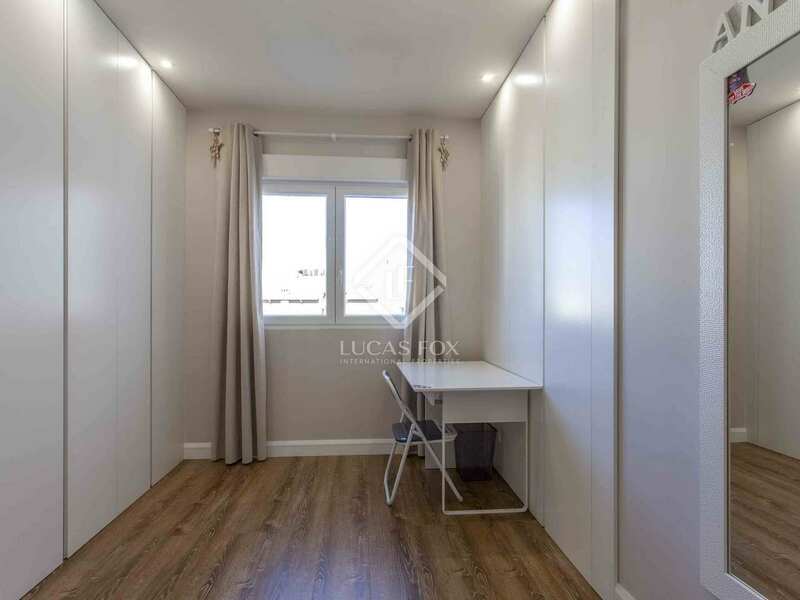 It is a few meters from MUVIM and Plaza de España and is very well connected by public transport. 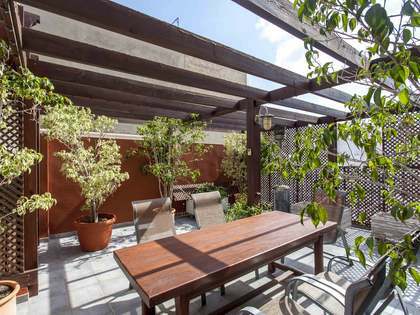 The lively neighbourhood has an interesting gastronomic and leisure offering.